Who will answer for Allison Liao's death? Driver was issued two tickets in the accident that killed a 3-year-old. The judge dismissed them in 47 seconds. How does this happen? 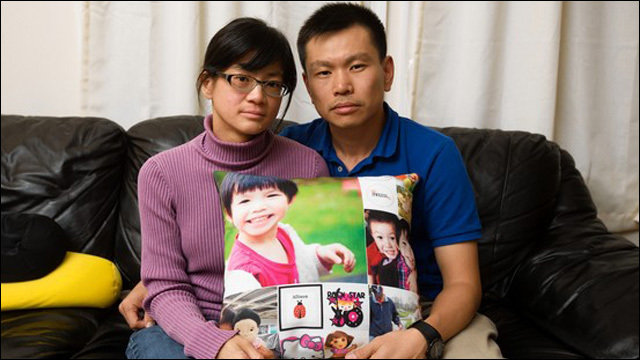 Who will answer for Allison Liao's death? You might have heard the outrageous news that the New York driver who killed a young girl in an accident last year got his traffic tickets dismissed. You'll be further outraged to learn that the judge took all of 47 seconds to toss out the case. On October 6, 2013, 3-year-old Allison Liao was crossing Main Street in Flushing with her grandmother when she was struck and killed by a SUV making a left turn. The Queens District Attorney declined to prosecute the driver, Ahmed Abu-Zayedeh, because he wasn't impaired or intoxicated. But he was issued two traffic tickets: failure to yield to a pedestrian and failure to use due care. It took 47 seconds to dispose of the case, according to the official recording. The first thing you hear is the judge puzzling over the spelling of the defense lawyer’s name. "Mr. Truck? Turck? K-C. T-U-R-C-K. All right, make your appearance counselor." That takes 13 seconds. Shawn Turck states his name, the driver’s name, and his law firm address. And that's it. That is the extent of the line of questioning regarding the accident. Neither the judge nor the police officer seem to want to bother with the fact that there is indeed a video tape. The horrifying accident was recorded by a passing vehicle's dashboard camera. Forty-seven seconds. Not even a ticket. So I have to ask again: who will answer for Allison Liao's death?